The Executive Search Group is the University of Virginia's internal search firm. Charged with re-imagining retained search, our focus is to attract, assess, and recommend the leading global talent and create efficient and strategic search solutions. We are keenly aware of keeping strong relationships in order to keep a strong pipeline for future opportunities. We emphasize service and quality in everything we do and conduct searches at a fraction of the cost of external firms. We have proven experience recruiting a broad range of senior leadership – Presidents, Provosts, Executive Vice Presidents, Vice Presidents, Deans, Associate Deans, Assistant Vice Presidents, Financial Officers, Development Leaders, Human Resource Executives, Foundation and Center Directors.  UVA's Executive Search Group is an internal executive search firm comprised of a team of experienced senior search consultants and recruiting associates dedicated to identifying and attracting exceptional leaders to the University and its affiliates. We blend our unique internal knowledge and relationships with leading practices in executive search to find world class talent for UVA. For us, our long term relationships both externally and internally, referrals and repeat clients, and successful placements and their impact are the best measures of our work. At the beginning of a search, it’s important we understand the vision for the organization, school and/or department and how the role fits into it. From here, we work with the hiring official and committee to narrow down the 4-5 key priorities for the position as well as the characteristics that will ensure the ideal candidates’ success. What, and how, will this person have accomplished these goals so, when you look back, you will know this was the best hire you could have made? We conduct in-depth meetings with key stakeholders to expand our understanding of the position, the organization’s philosophy, culture, current and future needs, and the qualities of the ideal candidate to ensure the best long-term fit. The resulting written position profile developed by our consultants and the committee and hiring official is a marketing piece that clearly states what makes the opportunity compelling, what success in the role looks like, and what qualities an ideal candidate should possess. Much of the search process cascades from this. We proactively and personally target and contact the most competitive prospective candidates and persuade them to consider the opportunity and/or help us connect with people in their network. Our recruitment ranges from national to international and we also look carefully at the talent at the University and known to those that care deeply about it. We work closely with committees and their vast connections; use our own relationships, an extensive database of candidates and sources. We advertise directly to related associations in the discipline being recruited for, to target the best in the field. We take diversity, in all its forms seriously, and seek to identify a diverse and highly qualified pool of candidates. Our search consultants share their insights about what they are hearing from candidates in the market and in their in-depth discussions with candidates with the committee. In our conversations with candidates, we learn about their accomplishments in successive roles, discoveries from mistakes made, what was essential to their success, and what is motivating them to want to make the move now to come to UVA. We review together with the committee what we agreed were the major priorities for the position and the characteristics that would make someone successful. To help facilitate the Committee’s discussion of potential candidates and whom to select to interview, ESG organizes candidates into a set of categories that reflect our initial assessment of the candidates’ fit with the aspirations of the position. In every search, all candidates that apply can be reviewed, no matter their category. Many selections are based on intuitions and general impressions, not on a comprehensive understanding of candidates’ experience and competencies. Our search consultants will assist search committees in developing customized interviews to include questions, case studies and/or assessments as needed. There can be various stages of interviews depending on the committee’s desires – video, off-site/confidential, on-Grounds with stakeholders, and finalists’ visits that may include families and more extensive scheduling of tours, schools, real estate, dual career, etc. All stakeholder feedback from interviews is collected by the search consultant and delivered in a comprehensive report to the Committee. We believe the due diligence of referencing and background checking are equally, if not more, important as a candidate’s performance during the interview process. We do both on and off-list references at the appropriate times and with the candidates’ permission. Preserving confidentiality is always top of mind to ensure the best candidates stay with the process. Every potential roadblock to attracting the top candidates needs to be identified and removed. Close communication with the finalists and keeping the chair and committee informed of key developments is vital. A good search can be complex to close, as there are often multiple good choices with final candidates. The search consultant remains active through this phase, helping our client make a well-informed decision. We stay in close contact with the finalists, ensuring even if they are not selected, their experience is positive. We can play a role in the contract negotiations by making recommendations on compensation, advising on relocation and family considerations. We maintain all records for the search and provide required reports. We can also help coordinate communication announcements if needed.